The gifted genre director Jim Mickle is taking a break from creating under-seen Joe R. Lansdale adaptations for film and TV to make a thriller with Sylvester Stallone, reports Deadline. The currently untitled project, written by one Daniel Casey and formerly called Godforsaken, will star Stallone as an aging ex-con out to “avenge a son he hardly knew.” Few details are available about the project, though it will presumably get made before The Esperanza Fire, Mickle’s stalled project about a 2006 California wildfire that killed five firefighters and was subsequently discovered to be the work of a serial arsonist. Mickle started in horror, attracting attention for his Days Of Heaven-influenced vampire film Stake Land and his better-than-the-original remake We Are What We Are, but has since shifted his attention to crime and pulp. And given his affection for weathered textures and all things that smack of ‘70s Hollywood, a project with Stallone makes perfect sense. The film is being produced by STX Entertainment, an industry newcomer that debuted last year with Joel Edgerton’s The Gift and is currently developing a number of projects, including Aaron Sorkin’s directorial debut. It will be Mickle’s first film without his longtime writing partner, Nick Damici. 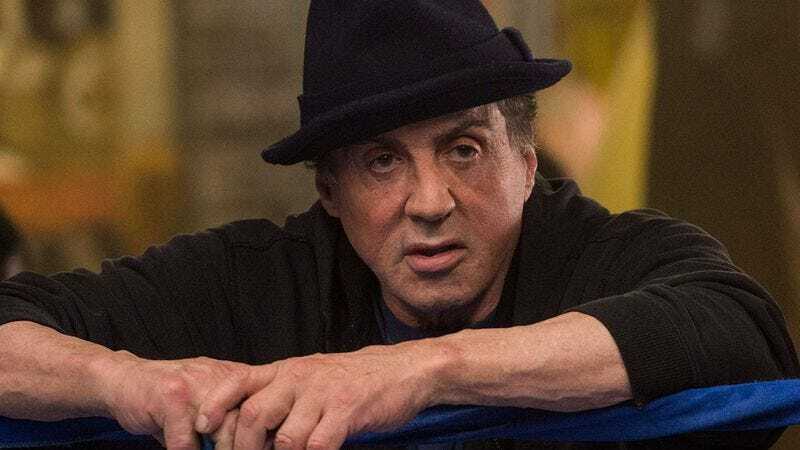 Stallone hasn’t had a live-action role since his goodwill-boosting, Oscar-nominated performance in Ryan Coogler’s Creed, but he has several projects in the works, including a made-for-TV adaptation of Mario Puzo’s Omerta that is set to be directed by Antoine Fuqua. He’s also set to appear in Guardians Of The Galaxy, Vol. 2.